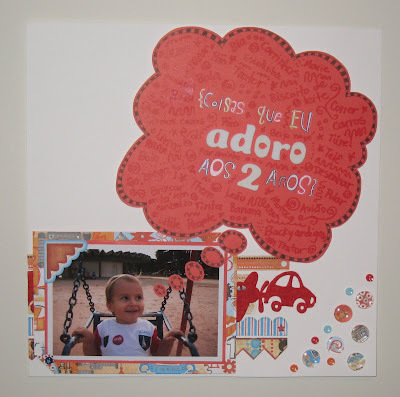 Scrapbooking by Débora Prass: Se melhorar, não estraga! Quem inventou esse negócio de "se melhorar estraga"? Se melhorar, ficar MELHOR AINDA! There is a say here in Brasil that goes something like "if it gets better than that, it will ruin it!". I don´t know who came up with that! If it gets better, it is even better! Essas foram as páginas que sairam na revista. These are my layouts on this issue of the magazine. A idéia desse era fazer uma página sem título, na qual a foto falasse por si só. 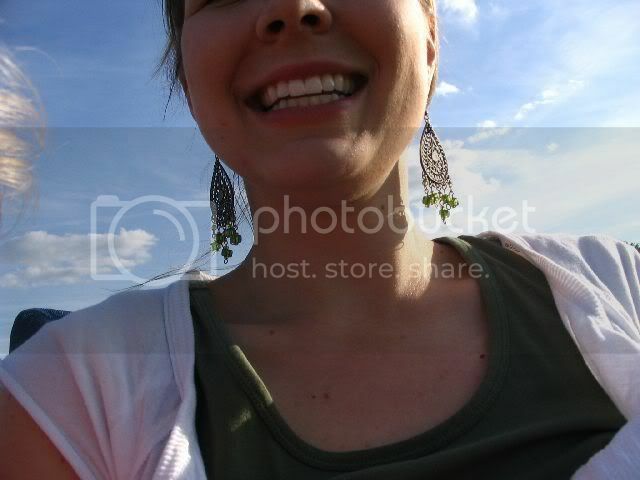 For this one, we were supposed to make a layout withou a title, the picture should speak for itself. 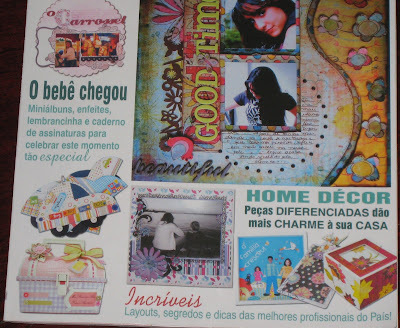 Foto pequena e enfeites com bastante espaço livre no layout. 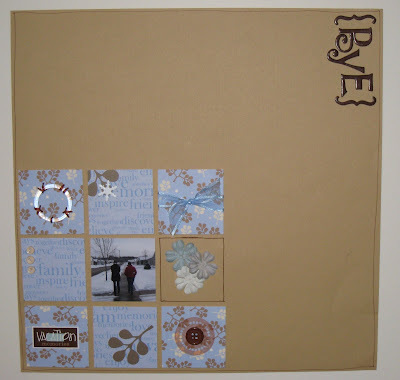 Here the magazine wanted pages with little pictures, and a lot of free space on the layout. Esse foi para a seção de journaling criativo. This was for a section about creative ways to write your journaling. PS: tem kit novo na loja, passem no blog pra ver, o link está aí ao lado! ive done something here to have you a few cents! parabens De, esses LOs ficaram maravilhosos!!! Como sempre arrasando neh Dé??? Parabéns. Super merecido. Sua página esta deslumbrante. Já vou comprar a minha. Bjos. Adorei o Los, principalmente os dos quadradinhos!!! You are a superstar! These layouts are beautiful! And the newspaper article too! 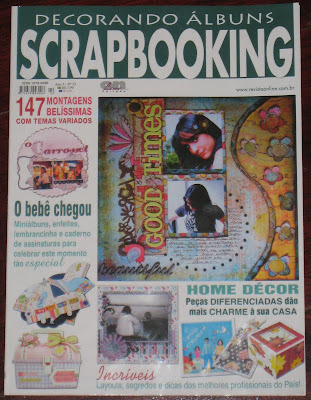 Wow, De' you are the scrapbooking star of Brazil! preciso comprar essa revista, rs... ainda nem vi nas bancas... Parabéns pela capa e pelo LINDO Lo... Ficou show!!! Aula do Dia dos Pais! Aula de hoje - grungeboard!